As an independent gym owner, I have learned a lot over the years. The growth in knowledge that I have now compared to back then when I opened the doors to my first club is staggering. I constantly have ideas and thoughts running through my head wishing that I could type as fast as they pass by. If I had to time write a book on opening a real gym (step-by-step) from the first day you begin to gather plans in your head to the day it became profitable, I would do so in a heartbeat. However, I do not have that time now. Now I am focusing on the gym management software that has developed from my gym and passing it on to others. Until then, I hope to give other gym owners, operators, and trainers a fleeting glimpse (of what I can actually get on paper) of my experience and hope to pay my knowledge forward to anyone who will would like to read about it. 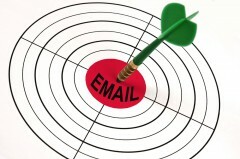 The following is what I discovered when I first opened my eyes to email marketing. At the near end of 2010 (more than a year and a half since opening the gyms doors), we had started building our email list and at the time of our first campaign (in 2011) and had approximately 350 addresses on our list (not even knowing if half of them would work). We sent out an email to former members (those who had cancelled and were no longer using our facility) stating that they could re-join for only $15 per month but they had act quickly as the deal would expire in one week. We re-signed 14 members as a direct result of that email, therefore we made an immediate $210 profit (14 members x $15) – not bad for sending an email. 7 months later, of those 14 members we re-signed, every single one of them is still a member (who would cancel a $15 monthly membership?) So, let’s recap, an immediate $210 profit + $1,470 in dues over the past 7 months = $1,680 total and still counting! Meaning that the value of every person on our tiny 350 address list is $1,680 / 350 = $4.80 so far. In the beginning of December in 2011 I faced the same problem everyone in our industry faces: how to compensate for a dramatic slowdown in walk-in traffic? When people shift into Thanksgiving and Christmas mode, virtually every aspect of the fitness business slows down from memberships to personal training sales. Rather than bemoan how slow the business was, I decided to put together our first email marketing campaign. The result was fantastic and by December of this year, our email list should have at least 2,500 working addresses on it. Therefore, by running the exact same campaign and if the previous results hold, we should yield around 2,500 x $4.80 = $12,000 in revenue over 7 months from December through next July. One of the most underutilized resources in any business, especially the fitness business, is email marketing. As a gym management software provider, I have had a chance to visit many gyms throughout the country. I have noticed that out of the ones that I have come in contact with, they, in fact, do collect new member email addresses at some point, generally during the new membership sale. However, after the email addresses are collected they typically sit in a filing cabinet on a membership contract. In some cases, the gym management will actually type the email addresses into a computer, but there they will die. If you ask any marketing expert, they will tell you that your email list is invaluable, even politicians are starting to understand the power of email. One of the most valuable marketing demographics on the internet is health and wellness. If you want to see for yourself, just search for the term “weight loss” and look at the number of results you get (as of this writing, I got 137 million results on Google). Most marketers would sell their firstborn to get an opt-in email list of customers in the health and wellness sector (opt-in means that the list subscriber willingly gave you their email address because they are interested in hearing from you). While any marketer would kill to get their hands on a health and wellness email list, your members are walking in every day and handing their emails addresses to you because they WANT to hear from you! When did you first discover the power of email marketing? What was a successful email campaign? What list management tool do you use for creating your email lists? We use a custom system that we built as part of our gym management software. However, I can say without reservation that MailChimp is what I would pick if I were starting over today. In fact, we’re currently working on an integrating our management software with MailChimp. Once we do that, we’re going to trash our internal system and switch everything over to them. Their free account is perfect for almost any size gym. Ever-evolving internet marketing system, where Email Marketing belongs !